Are you plagued with these questions: Why do my flexible risers rarely meet their design life?...and…What am I supposed to do with the inspection reports and over-simplified analysis presented to me when I have to make a decision on the further operation or replacement of a flexible riser? Would you like to be more confident when recommending action or signing off on the operation or replacement of your flexibles? With the cost of replacement ranging from about $27 to $40 million, depending on the locale, and the significantly higher cost of riser failure or leakage, the stakes are high. (2) even when this limited inspection data was available, the computational limitations of existing solvers required oversimplification of the flexible’s structure and the operating environment to achieve any actionable conclusions. These issues have led to overly conservative designs and inaccurate fatigue life predictions, resulting in higher costs and decisions made without understanding the true condition and capability of flexible risers. The strategic alliance of INTECSEA and Innospection provides that understanding, giving you the confidence to affect safe and economic operation of your flexible risers. Innospection’s MEC-FIT™ (Magnetic Eddy Current Flexible Inspection Tool) detects corrosion (pitting), cracks (partial or complete), and wire misalignment in the 1st, 2nd, and into the 3rd armor wire layers. In addition to this high-fidelity data capture, INTECSEA has developed a Nonlinear Dynamic Substructuring (NDS) solver, FLEXAS™, which overcomes the computational limitations of the industry. FLEXAS™ enables efficient, flexible riser dynamic simulations of detailed, multi-layered finite element models in large-scale configurations with direct armor wire stress recovery under irregular wave loadings. 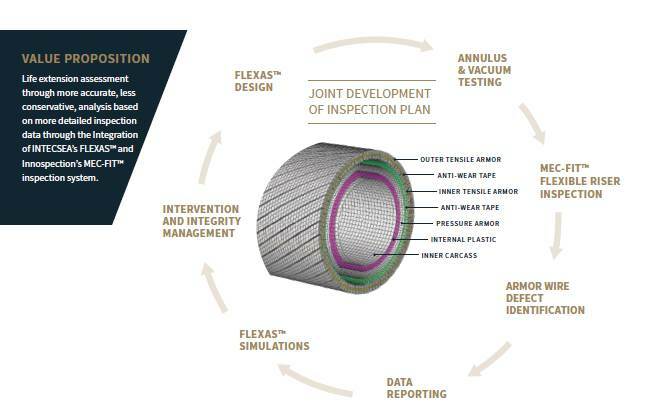 Armor wire damage detected during inspections is incorporated into the global FLEXAS™ model, providing remaining fatigue life assessment based on accurate armor wire stress time-histories at the damaged location. The marrying of MEC-FIT™ and FLEXAS™ offer a unique, state-of-the-art capability not available through any other provider. Yet, this industry-leading collaboration for armor wire assessment and fatigue life prediction is only part of our wider alliance offering for full flexible integrity management. 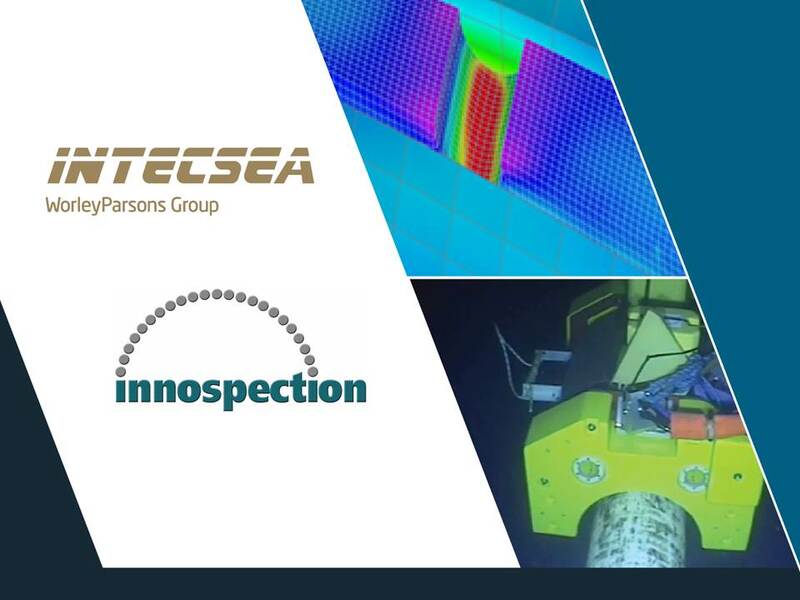 Through the alliance, INTECSEA and Innospection also provide annulus testing and industry-leading experts in flexible riser design, operation, integrity, risk-based analysis, and construction management support for repair/replacement operations. See our latest flyer for more information, or contact us at technology@intecsea.com.